Cipro Poisoning: Have You Been Floxed? : Sprycel Vacation: The Good, the Bad and the Ugly!! Sprycel Vacation: The Good, the Bad and the Ugly!! Interestingly enough, I have noticed many different things that Sprycel does, and doesn’t do, to my body. After a nearly three week vacation, it has been difficult in some ways to return to my CML treatment, but comforting and even helpful, in others. The major disappointment in returning to treatment is my missing “spark”; Sprycel seems to have a way of diminishing my inner “happy” glow! I know that sounds silly, and I am still an extreme optimist, but the bursting-over joy, that I have when I am not on Sprycel, just is not the same. This coupled with the fact that when I am not on Sprycel, the leukemia has an opportunity to kick start its engine. That being said, there is a comfort to returning to the battlefield. 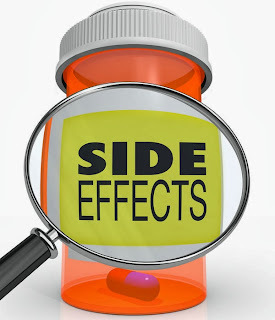 The most difficult part being the return of the side effects; I have suffered greatly from muscle spasms in my back, am extremely tired, and once again, my hair is starting to fall out! Ugh, it was finally beginning to grow again. The afternoon, flu-ish, fever-y feeling has returned, along with the headaches. The Good news is that the peripheral neuropathy, from the Cipro damage, is beginning to subside again. I still cannot believe how taking Sprycel keeps the pain in my feet, and joints in my legs, at bay. I suppose this really is the golden lining to living with a chronic cancer; totally strange! My belief and hope is that it will not take as much time, as it did when I first began taking Sprycel to adapt to the medication and for the side effects to seem less severe. I often wonder whether the side effects actually lessen, or if we just learn to better adapt to them.